Bare Bodies Acne Clinic has a clear-skin system that will have your acne under control in about three to four months, depending on your type of acne. We combine the power of clinical-grade products that are customized for your type of acne, with a series of bi-monthly treatments. We also teach you about other aggravating factors that make you break out – foods, medications, cosmetics, stress, and common ingredients in skin care formulations that might be clogging your pores (even professional and prescription products). Acne Program Includes: acne consultation, acne diagnoses, custom home care, acne treatments, lifestyle/diet coaching, Acne Free Diploma with your own before and after photos. **must be senior in high school or older to participate in the Bare Bodies Acne Program unless exception is made under parental guidance; long distance clients welcome with minimal treatments and regular check in’s. Q. Why should someone choose an esthetician to treat their acne? The client won't have to resort to dangerous prescription drugs of any type. We have more time to spend with a client. We listen carefully to their concerns. We coach the client through every step of the process of getting their skin clear. They are not left to figure it out on their own. 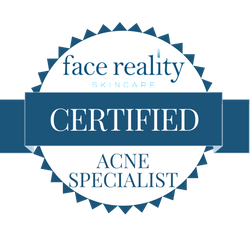 We create a close communicative relationship with the acne client. 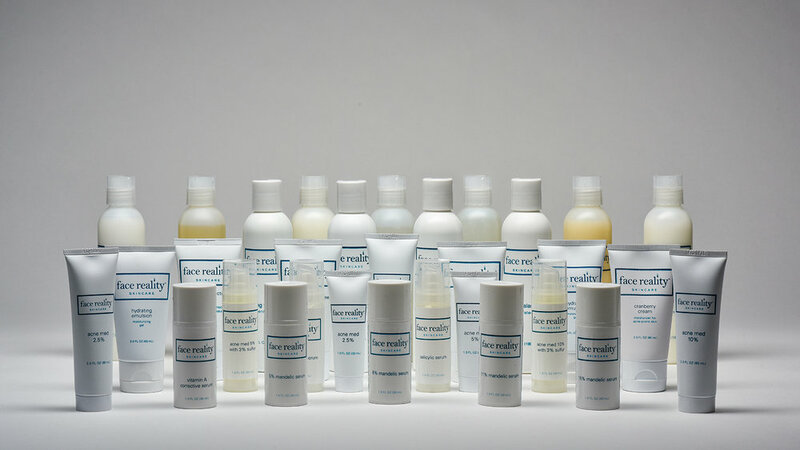 The Face Reality products that are available for purchase are specifically formulated for acneic skin and are guaranteed to not clog your pores. However, they will not get your skin clear on their own. If you would like to get the other products in our product line that are strong enough to help you get your skin clear, you should make an appointment with us if you are local, so that we can examine and test your skin.